A Note from Chairperson Lee Bush, Jr.
Operation Christmas: Bolingbrook has been operating for 45 years under the CSC umbrella. We make an exceptional effort each year to ensure that every family in need of assistance during the Christmas Season receives assistance. Operation Christmas is an all-year project involving many volunteers from Bolingbrook and the surrounding areas. Last year, we served over 420 families within our community. Donations come from local businesses, community groups and individuals. 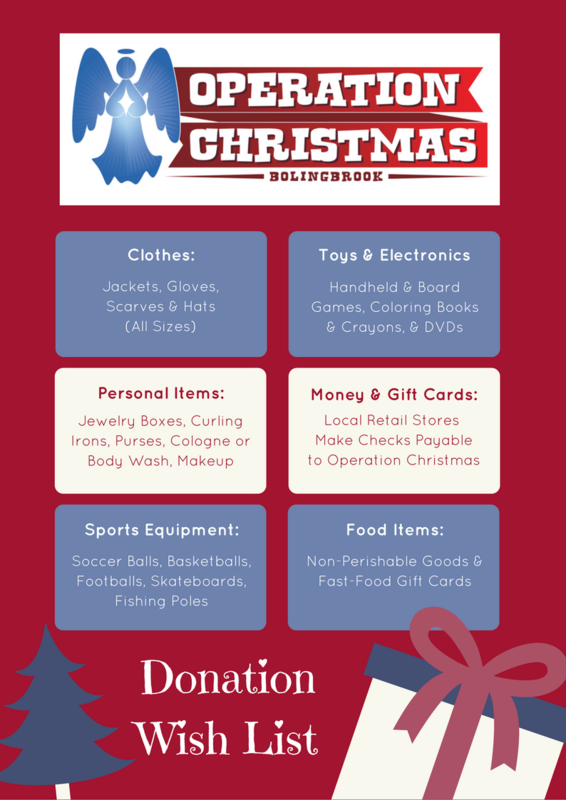 In December, donated items can be dropped off at many different locations. Check out and like our Facebook page to learn where. We welcome any new or gently used clothing, toys or monetary donations. Monetary donations should be made out to Operation Christmas. Does Your Family Need Support this Holiday Season? Saturday: 8:30 a.m. - 1:30 p.m. If you’re facing a difficult situation outside of our normal business hours, we encourage you to call the Crisis Line of Will County. Volunteer operators are available 24-hours a day, 7 days a week to offer you a listening ear. They’ll provide information and referrals for a variety of needs such as food, financial assistance and non-judgmental telephone counseling. If you’re experiencing thoughts or feelings of suicide, help is just a phone call away. The Crisis Line is accredited through the American Association of Suicidology for the intervention and prevention of suicide. 2018 CSC Website managed by OrangeSpike Inc.